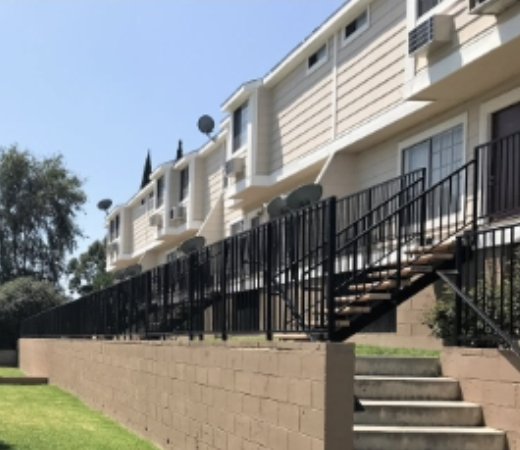 Talonvest Capital, Inc. funds $7,100,000 loan for Multi-Family Investment Partners’ acquisition of 42 townhome apartments located at 15716 Saticoy Street in Van Nuys, CA. Talonvest Capital, Inc. is pleased to announce the successful funding of a $7,100,000 loan for Multi-Family Investment Partners’ acquisition of 42 townhome apartments located at 15716 Saticoy Street in Van Nuys, CA. The property is located in the Lake Balboa neighborhood of the San Fernando Valley (Los Angeles MSA) and is situated on a 1.047 acre site about one block from Interstate 405. The Property is within a short drive of the Sherman Oaks Galleria Mall and features a high-quality tenant profile in a strong rental market. The borrower’s business plan includes upgrading the interiors of each townhome with stone countertops, vinyl plank flooring, new appliances and fixtures, and a new paint scheme. Additionally, the property will benefit from the addition of a new fitness center, fire pit area, barbecue and picnic area, and potentially a new pool. Through the interior upgrades and an enhanced amenity package, the borrower intends to capitalize on the community’s significant rent increase potential. Talonvest Capital, Inc. is a boutique real estate firm that provides advisory services to commercial and self storage real estate investors, owners, and developers throughout the United States. The principals of the firm have over 85 years of combined experience structuring loans and equity investments for office, industrial, retail, self storage, and apartment properties. Multifamily Investment Partners, LLC is a multifamily real estate investment company based in San Francisco, CA. The firm executes its business plan in supply constrained, urban infill markets with properties generally valued at more than $8 million in the target markets of the San Francisco Bay Area, Los Angeles Metropolitan Area, Seattle Metropolitan Area and Salt Lake City. By leveraging the principals’ relationship and expertise in the industry, Multifamily Investment Partners implements a strategy to acquire quality multifamily assets of below replacement cost.